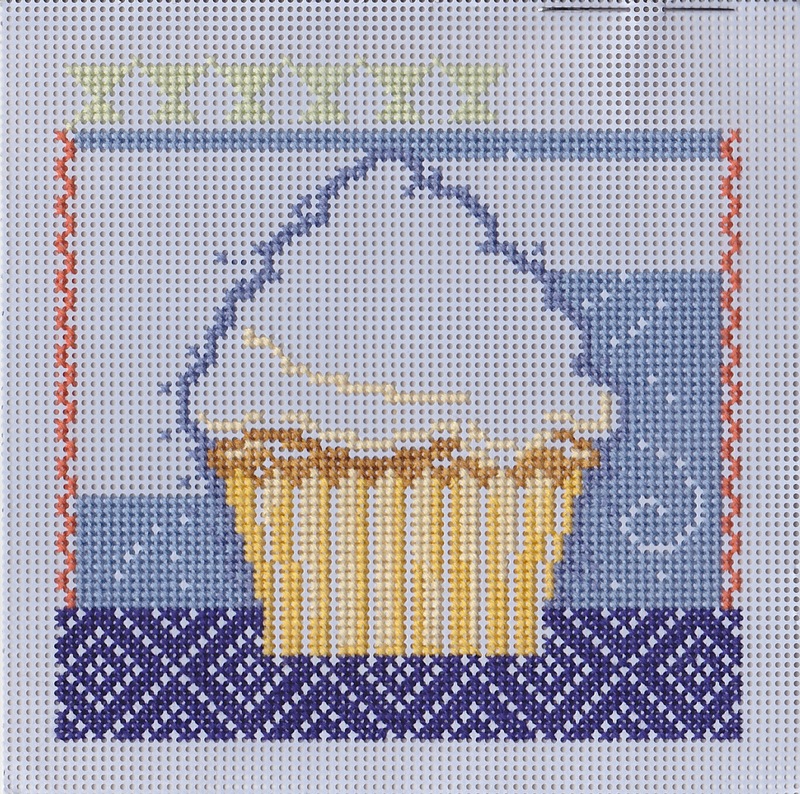 I really haven't had much stitching time this year, considering only nine days have elapsed. 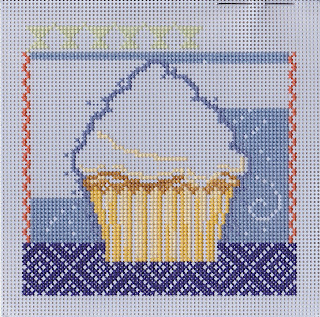 I did, however, manage to squeeze a few hours of stitching in on my travel project (the Mill Hill Vanilla Cupcake kit) during my three-hour glucose test at the doctor's office. Due to my lack of foresite, I did not remember to photograph my project earlier in the day while the sun was still out. All of my attempts to take pictures with artificial light resulted failed, so I had to use the scanner this time around.